LOCATION: ARVADA HIGH SCHOOL: 7951 W. 65TH AVE. Residents and businesses can bring up to three boxes or three bags of documents to be processed. 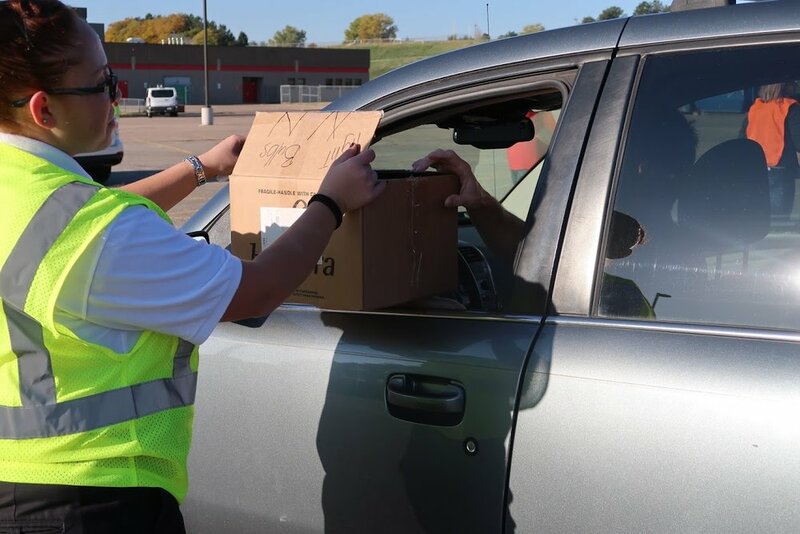 Area high school students, as well as the Arvada Police Explorers, will be on hand to assist with unloading items. This is a free event; however, donations are accepted and will benefit the Northey Foundation which provides scholarships to graduating Arvada high school students, and helps families of officers killed or injured in the line of duty. In 2018, the Northey Foundation gave $25,500 in scholarships to (15) Arvada students! W. Michael Northey was a police officer for the City of Arvada who was tragically killed after being struck by a car while making an arrest on August 11, 1979. Northey was very active with the youth of the community and therefore the Northey Foundation was created in his honor. The W. Michael Northey Foundation is a 501(C)(3)(IRS#31-1771579) not for profit organization. THANKS TO ALL OUR FABULOUS VOLUNTEERS!